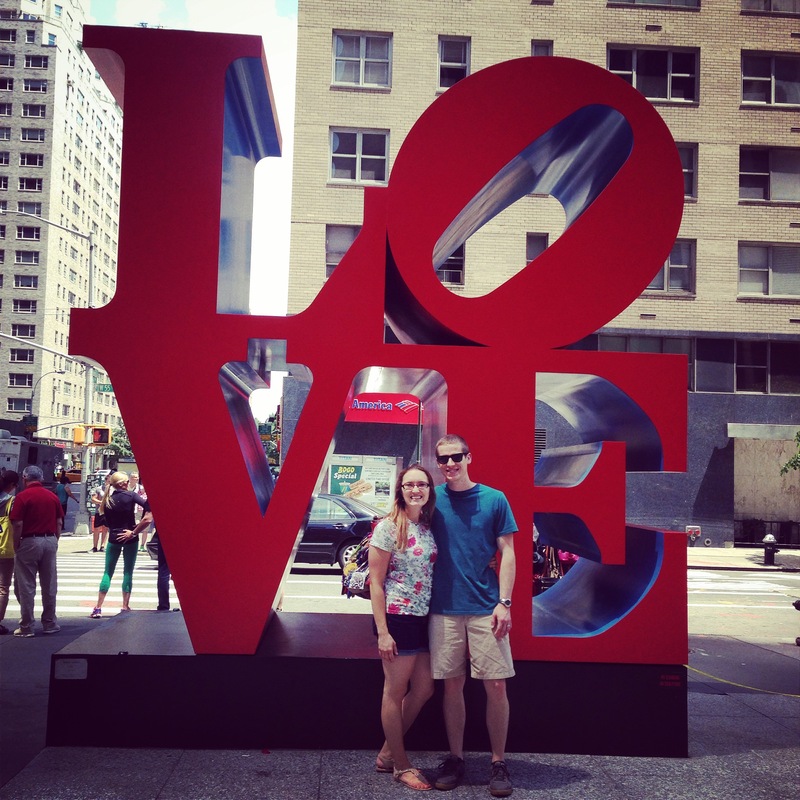 Last weekend we surprised Hubs’ dad in NYC for a belated Father’s Day weekend. His girlfriend organized the whole thing, including Hubs’ brother and his wife joining too. What a sweetheart! 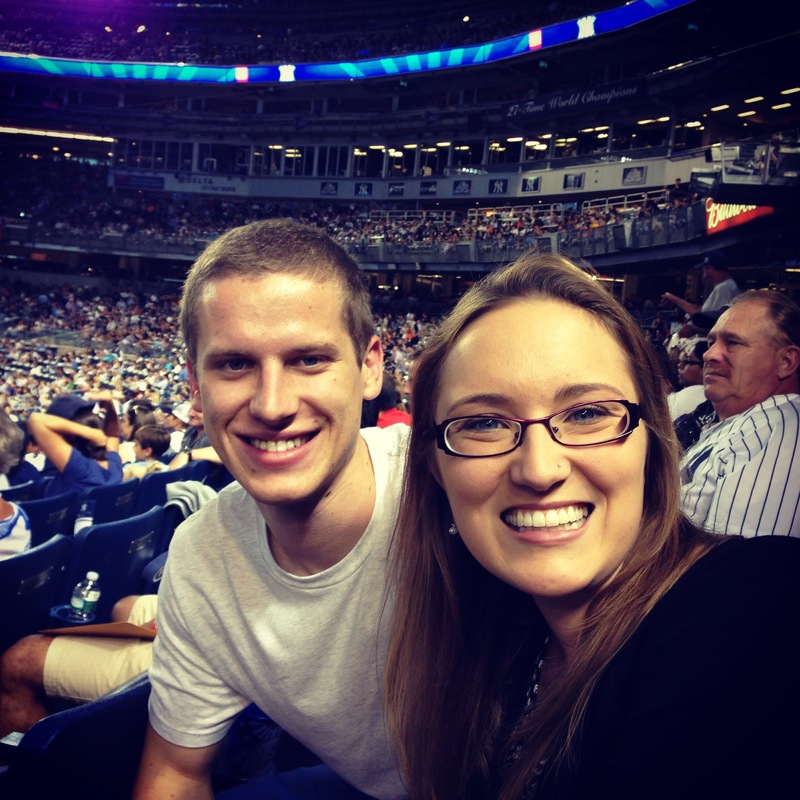 We started the weekend off with a Yankees game. The Yankees won with a home run in the bottom of the ninth with two outs. I thought that only happened in the movies! 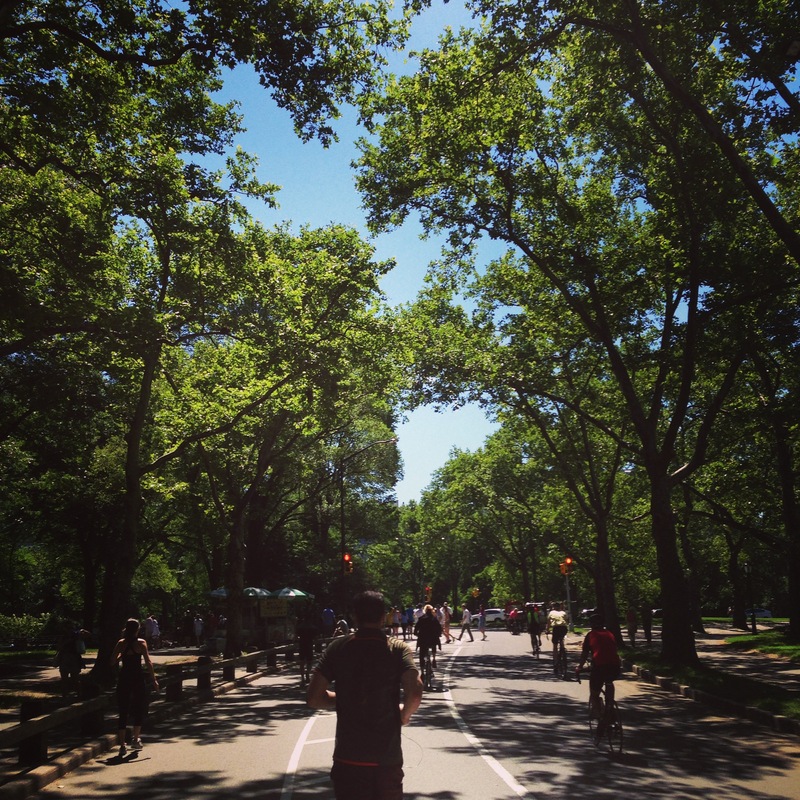 I started Saturday morning with a 5-miler in Central Park. It was a beautiful day and I was so glad to have a chance to stretch my legs. 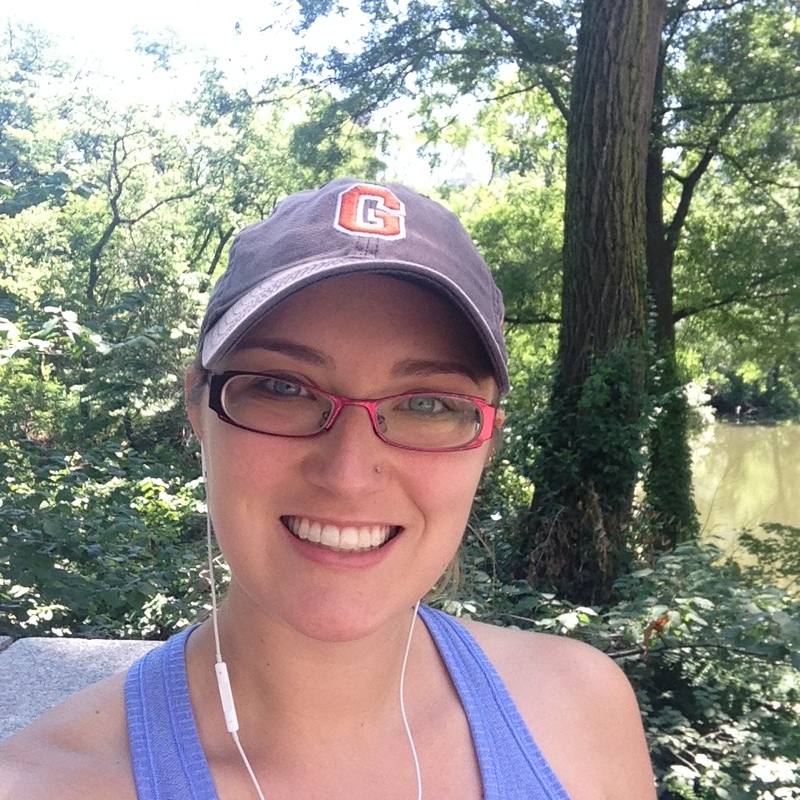 Pre-Run – Rocking my glasses and baseball bat. T-7 days until my LASIK surgery! I was really impressed by the number of people out running. The rest of the weekend was wonderful. Here’s a quick shot we fit in before our flight home! Thanks, Lee! It was a really great weekend. And thanks for the glasses compliment! Only a few more days until LASIK and hopefully I’ll be done with these bad boys forever 🙂 And you’re so right! Gotta channel Meb. Did you see the article in the recent Runner’s World about him? Totally inspirational! You look soooo adorable!!! XOXO!!! Glad you had a great time and what beautiful pictures!! 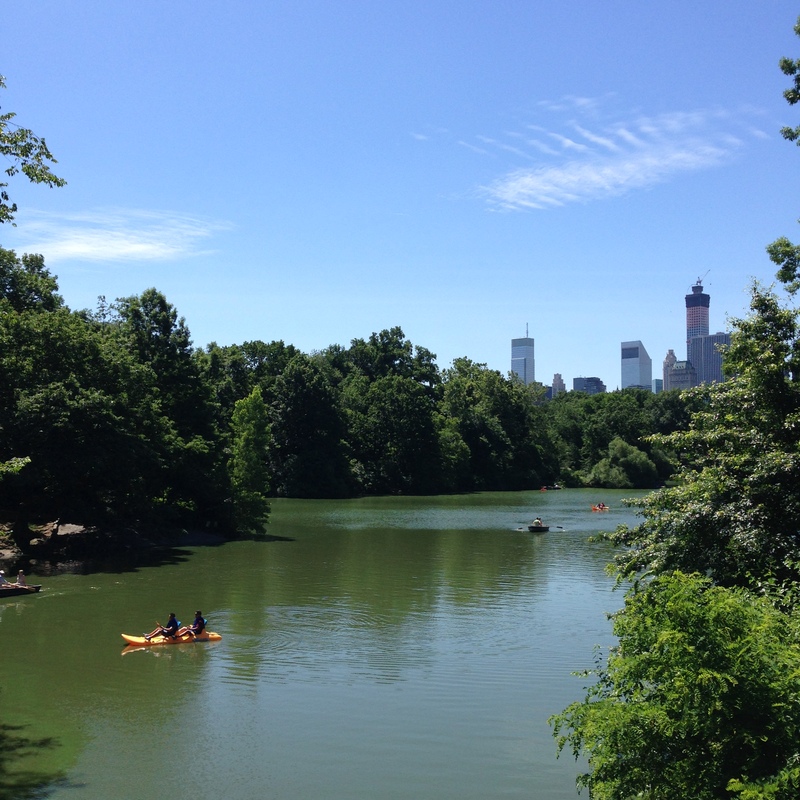 I love Central Park!! Thanks, Kristin! Central Park is so great 🙂 Hope you’re having a GREAT weekend! !